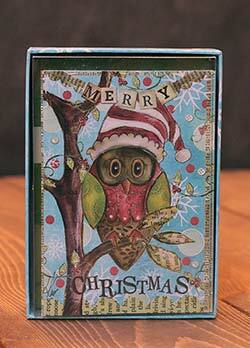 Christmas Cards from The Weed Patch, including wonderful designs by Lang, Legacy, Up with Paper, and more! 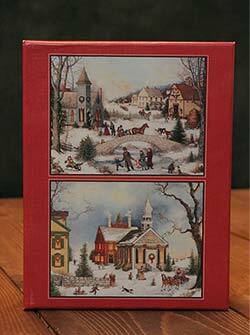 Set of eight holiday cards featuring chalk style artwork - one of each shown in photo. 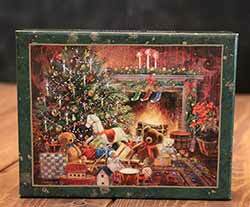 Merry Be Wooden Postcard, by Primitives by Kathy. 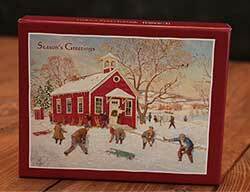 Painted and aged in red with white lettering, this postcard can be set on a shelf, or actually sent in the mail! 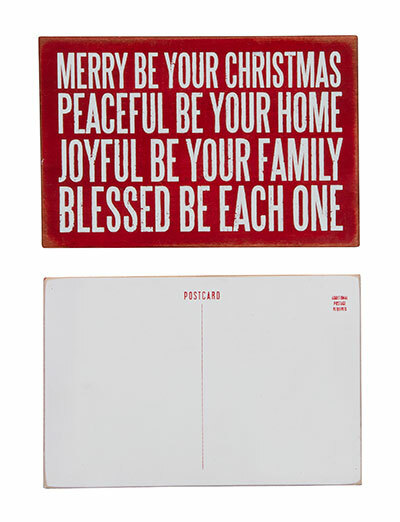 This one reads: MERRY BE YOUR CHRISTMAS PEACEFUL BE YOUR HOME JOYFUL BE YOUR FAMILY BLESSED BE EACH ONE. 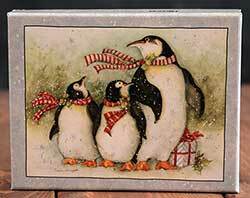 Measures 6 x 4 inches. 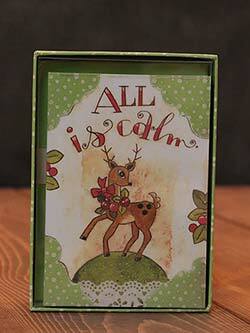 Made of wood and paper, intentionally distressed for a rustic look. 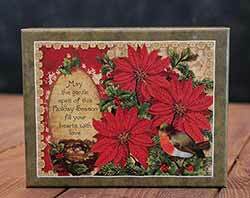 Merry Little Christmas Tin Postcard, by Primitives by Kathy. 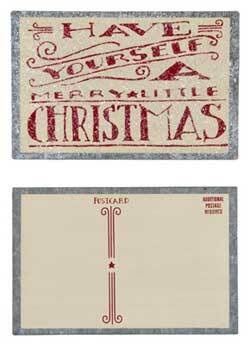 Galvanized tin postcard painted cream, featuring a hand-lettering-style font in red, distressed for a rustic look, and lightly dusted with mica glitter. 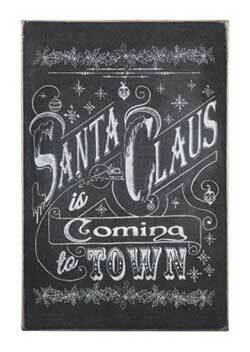 This one reads: "Have yourself a merry little Christmas." 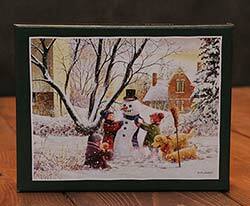 Measures 4 x 6 inches. 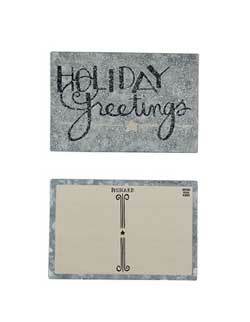 This metal postcard can be set on a shelf, or actually sent in the mail!